Home Court dismisses appeal by Lanka Hospital Corporation Ltd.
Court dismisses appeal by Lanka Hospital Corporation Ltd. 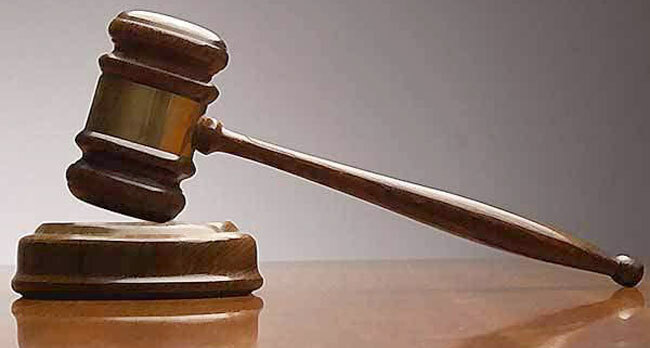 The Colombo Civil Appellate High Court has dismissed an appeal filed by Lanka Hospital Corporation Limited that challenged the District Court's order to pay compensation of Rs. 5 million to a resident in Negombo whose leg had to be amputated due to alleged negligence on the part of the hospital authority. While ordering to dismiss the Appeal, High Court of the Civil Appeal Bench comprising Judge M. Samayawardena and Judge D.N. Samarakoon affirmed the order made by District Court Judge's assessment of general damages to Rs.5 million is reasonable considering the age of the plaintiff and the circumstances in which he is placed for the rest of his life. The plaintiff Arumpurage Sebastian Gemunu Shanka Fernando of Negombo had instituted this case alleging negligence on the part of the defendant hospital, in treating his leg which was injured due to a collision of the motor cycle he rode with a bus, due to which negligence he states his leg had to be amputated. He had been admitted at about 5.15 pm on November 23, 2002. He was injured at Negombo but there had been a strike of work by nurses at the hospital. Therefore, his leg had been bandaged and as he had seen advertisements about the treatment and facilities of the defendant hospital he had got himself admitted to the defendant hospital on the same day. On the night of November 25, 2002 when the plaintiff was taken to the operation theatre it was found that his leg is dead and on November 26, 2002 it was amputated from above the knee. The High Court of Civil Appeal observed that the hospital authority is liable for the negligence of professional men employed by the authority under contracts for services as well as contracts of service. The authority owes a duty to give proper treatment-medical, surgical, nursing and the like and though it may delegate the performance of that duty to those who are not its servants, it remains liable if the duty be improperly or inadequately performed by its delegates. The High Court of Civil Appeal further observed that in assessing damages the Additional District Judge had considered that the plaintiff was only 28 years old when he lost his leg, the pain he suffered and expenses incurred by him. It was considering documentary evidence he assessed special damages to Rs.344,236 to which he added Rs.800,000 as the cost of an artificial limb. "The Additional District Judge's assessment of general damages to Rs.5 million is reasonable considering the age of the plaintiff and the circumstances in which he is placed for the rest of his life. In the circumstances court does not see any reason to interfere with the judgment of the Additional District Judge. The Appeal is therefore dismissed with costs," the judgment said. President's Counsel Nihal Fernando appeared for the Lanka Hospital while Anil Silva PC appeared for the Plaintiff.